The Old Sunning Lodge No. 5987. The Old Sunning Lodge was consecrated by RW Bro CRI Nicholl, Provincial Grand Master on October 4th 1944. The Lodge owes its origin to W. Bro Jolly Middleton, a Past Master of Kennet Lodge No. 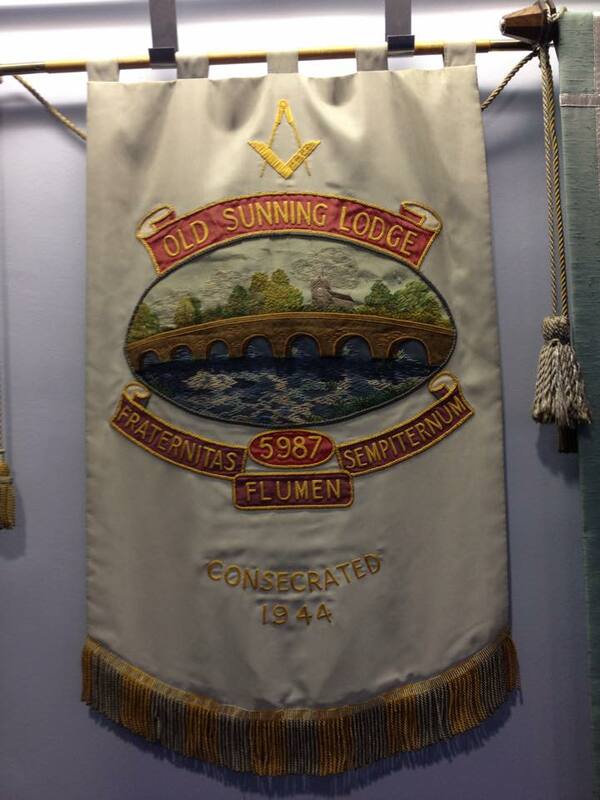 4414 and the residents of Sonning who, with others, saw the need of a new lodge to serve that area. The lodge banner (seen below) was designed by W. Bro T L J Chamberlain, is based on the lodge emblem conceived by W. Bro S Clayey. 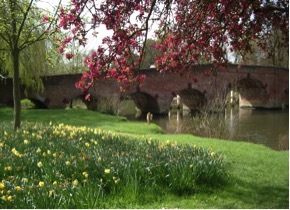 The Outstanding feature is the 18th century brick Sonning Bridge with eleven arches (seen below). The tower of the church of St Andrew is included to commemorate the association and devotion of the vicar, W Bro The Rev Canon Groves. The motto “Fraternitas Flumen Sempiternum” translates “Brotherhood flowing eternally”. As you can see our history and traditions go back to 1944, we pride ourselves in sticking to our Blue Book ritual. We take our ceremonial work seriously but have lots of fun learning it. Our meetings are lighthearted and fun. Many of our guests comment on the warm welcome and relaxed atmosphere they enjoy whilst visiting, this results in many of our visitors returning on a regular basis. As a Lodge we have a lively and very busy social side. We organise many social activities for our members, families and guests. As a Lodge we are keen for our members family and friends to join us and also get involved with our Lodge social activities. If you would like to be part of our lodge, get in touch. We would be delighted to see you.